Sponsored by Scope and organised by the Helen Hamlyn Research Centre and Design Business Association. A product, service, environment or communication that solves a clearly defined public transport issue that currently limits or excludes a disabled or older person from using it, would bring benefit to all and create a tangible business opportunity. Designers are used to tight deadlines and thrive on new creative challenges - the ones set for them during the Include 2005 conference were bigger than most. But that was no deterrent and they rose to the occasion in triumphant form with the help of lashings of caffeine, chocolate, red wine and adrenalin. Additional tickets are available for this evening event on 3 April. Entry is free for conference delegates. For more information, visit Helen Hamlyn Research Centre. The recent surge in dance reality TV programmes such as Dancing on Ice here in UK, or The Dance Floor back in Singapore might have encouraged a number of senior citizens to step into their dancing shoes and show the younger generation what they are capable of. 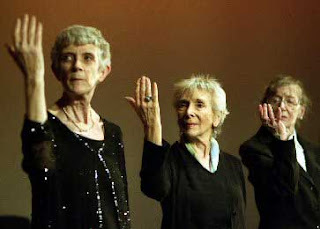 After sell-out performances at the Venice Biennale in June 2006, Sadler’s Wells Company of Elders, who prove it’s never too late to start dancing, return to London for three performances only. Established in 1996, the Company of Elders grew out of Sadler’s Wells afternoon over 60s club. They work with professional choreographers and have recently performed in Russia, Italy and Portugal. This triple bill performance features Clara Andermatt’s acclaimed Natural (2005), In Fine Shape by Cheryl McChesney and White-Hot by Protein Dance’s Luca Silvestrini commissioned by Duckie Cabaret Club. Visit www.sadlerswells.com for more information. 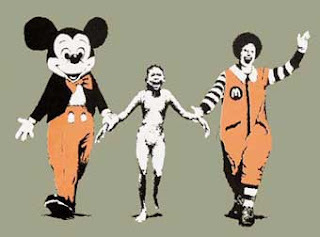 Recently having auctioned off one of his prints at Sotheby's for a record-breaking £102,000, Banksy is back with an exhibition of his work at the Andipa Gallery. On sale will be 15 original signed canvases and 30 limited edition signed silkscreen by the ubiquitous grafitti artist, who is known for replacing copies of Paris Hilton's debut CD, Paris, in UK record stores with his own cover art and remixes by Danger Mouse, which eventually was sold on eBay for more than £750. Graffiti art has never looked soo good, or expensive. His current exhibition will be ongoing till 24th March 2007. Royston Tan's masterpiece on isolation, adolescence and a relationship between an eleven-year-old boy and his tenant will be making its London debut on the 27th and 29th of this month, during the 21st London Lesbian & Gay Film Festival taking place at the BFI National Film Theatre. FOUR pays homage to Kuo Pao Kun, one of the founding fathers of Singaporean theatre. 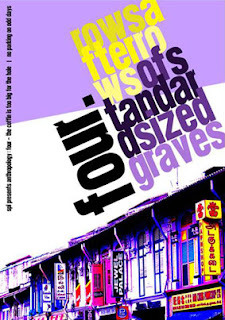 We present two monologues — first we have The Coffin is Too Big for the Hole, Kuo's take on the Singaporean impulse to codify and standardise, right down to the way our dead are buried. No Parking On Odd Days expands on this theme, and goes on to take apart (albeit in Kuo's characteristically gentle, avuncular matter) the absurdities of the Singapore bureaucracy. Tickets are at £5 and are available via phone-order at 079 8152 4062 or email at ticketing.spl@googlemail.com. An opportunity to see, buy and celebrate 20th and 21st century style. FORM London, the first of its kind, is a new exhibition bringing together modern and contemporary art, design, photography, ceramics, sculpture and jewellery to create a dynamic showcase. FORM invites you to see and buy unique elements for a modern home – pieces you love that can become the investments of the future. Whether you are a new or established collector, or an enthusiast looking to increase your knowledge, over 100 vetted exhibitors will provide a unique and accessible opportunity for you to find the best modern and contemporary work.